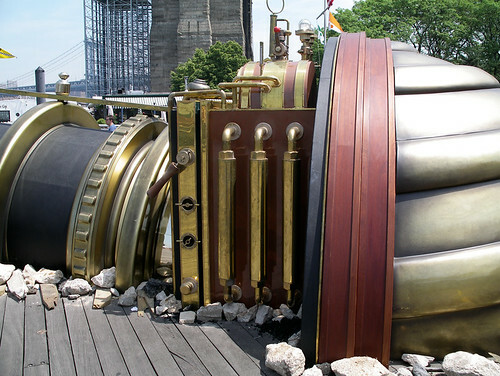 This is the Telectroscope, an art installation designed by Paul St George and produced by Artichoke, the same folks responsible for the absolutely amazing Little Girl Giant a couple years back. 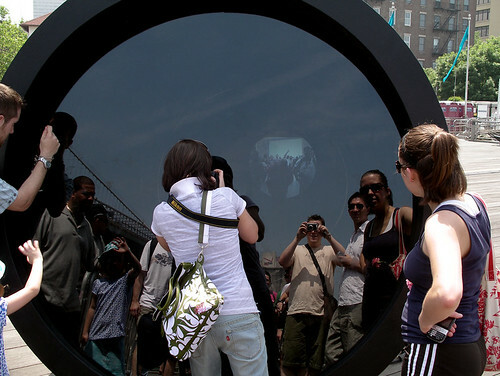 We were (obviously) at the Brooklyn end; the connecting end was set up in London, giving visitors at each location the opportunity to view and wave hello to the other side. 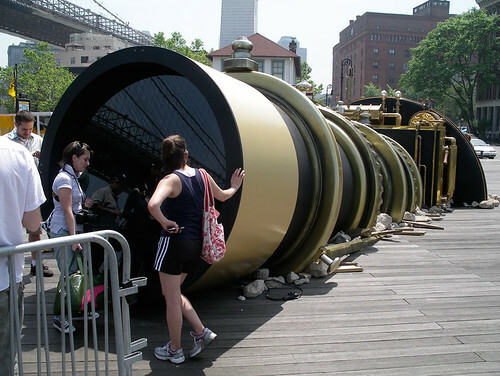 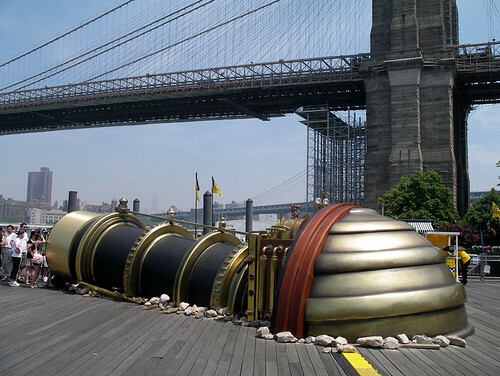 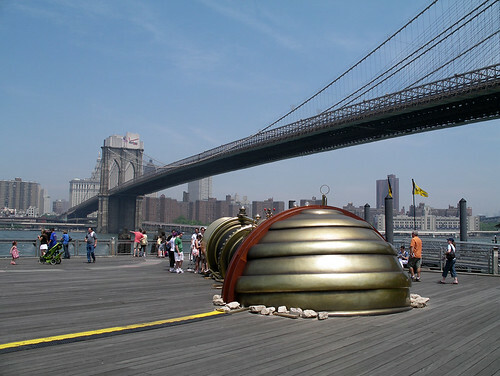 The Telectroscope installation ran from May 22 to June 15, 2008.